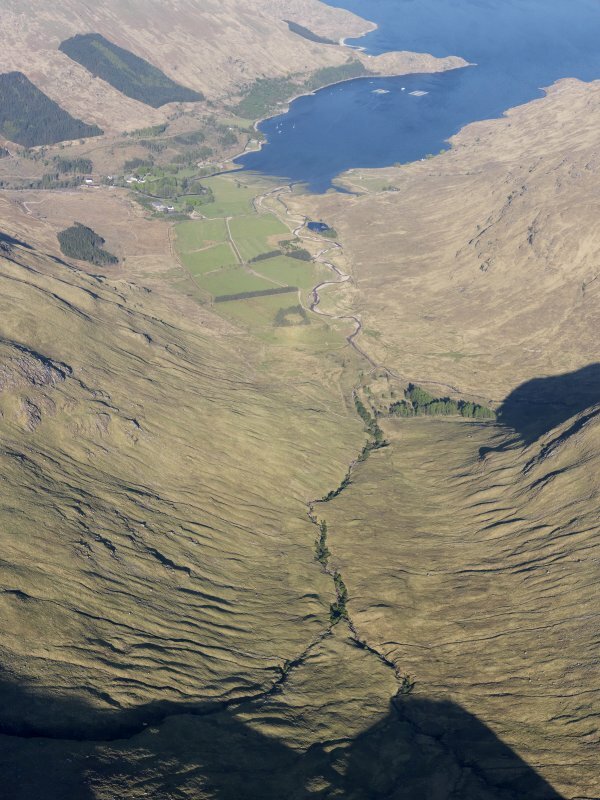 Oblique aerial view of Kingairloch, looking WNW. 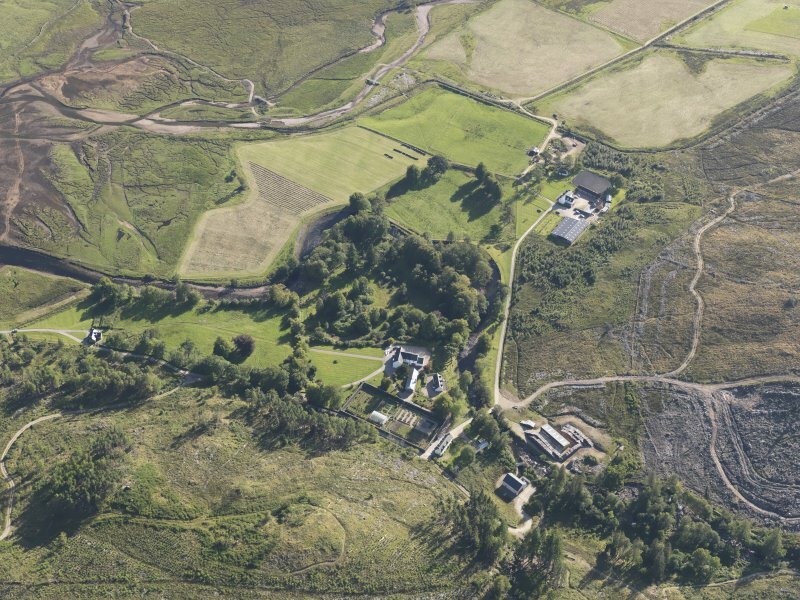 General oblique aerial view looking down the Allt a'Choire Bhain towards Kingairloch Lodge, taken from the WSW. 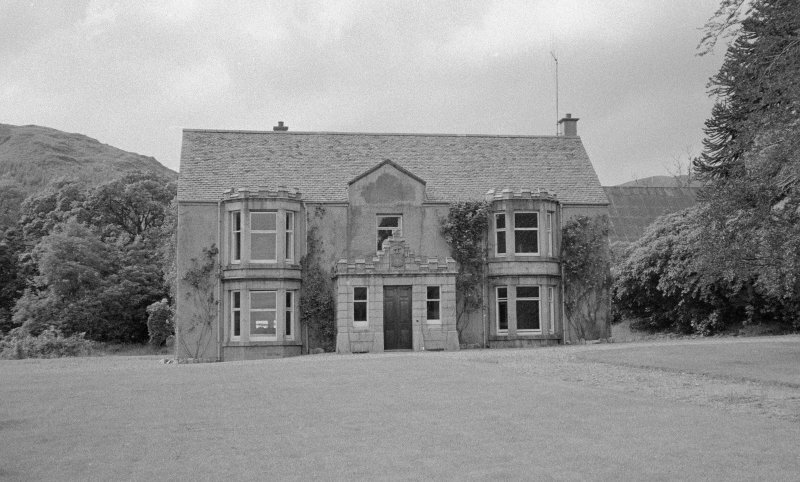 Kingairloch House, 1964 -5, Tim Key Remodelling and drastic reduction of L. & J. Falconer's baronial shooting lodge of 1903 -4 at the head of Loch a' Choire, which itself was an extensive enlargement/remodelling for George Herbert Strutt (who bought Kingairloch and Glensanda in 1902) of a much older house. 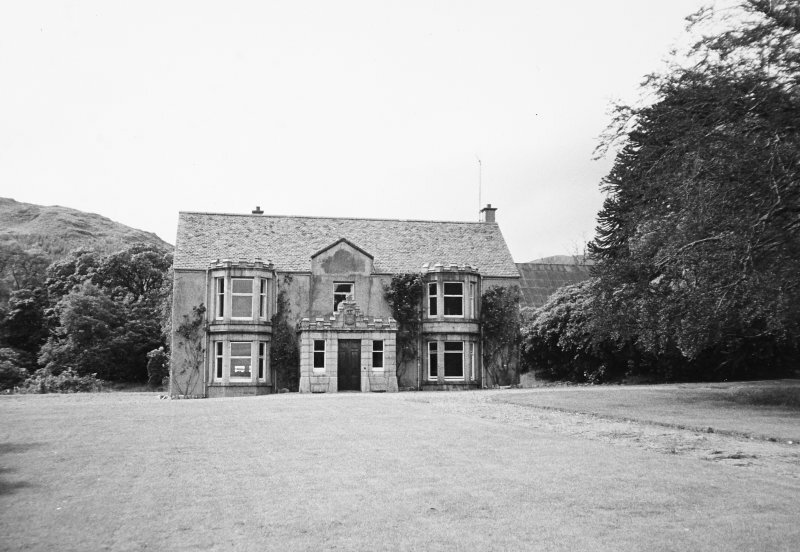 This old house of the Macleans of Kingairloch, known as Connach in the 18th century, had been enlarged in the early 19th century for James Forbes of Hutton Hall, Essex, owner of Kingairloch from 1800, and again, substantially, in 1888 -94 for John Bell, Sherriff of Carronvale, owner from 1888. 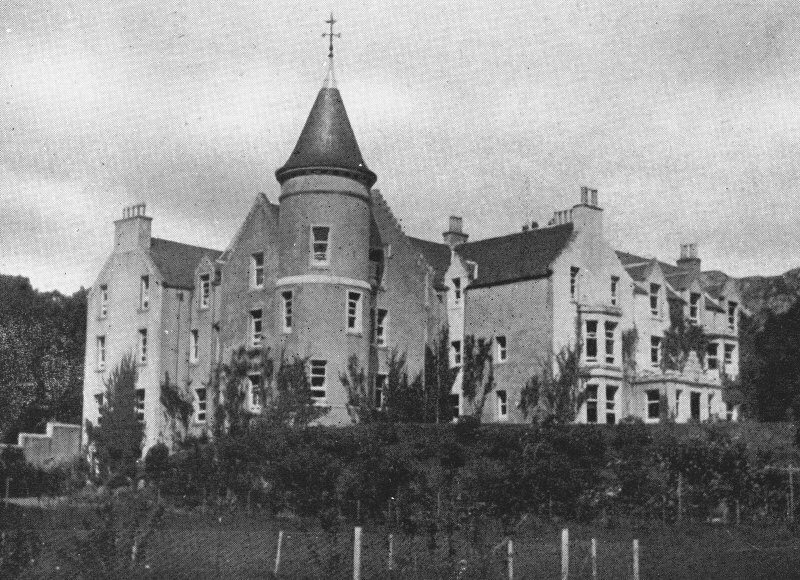 A corrugated iron ballroom of c.1900 survives. 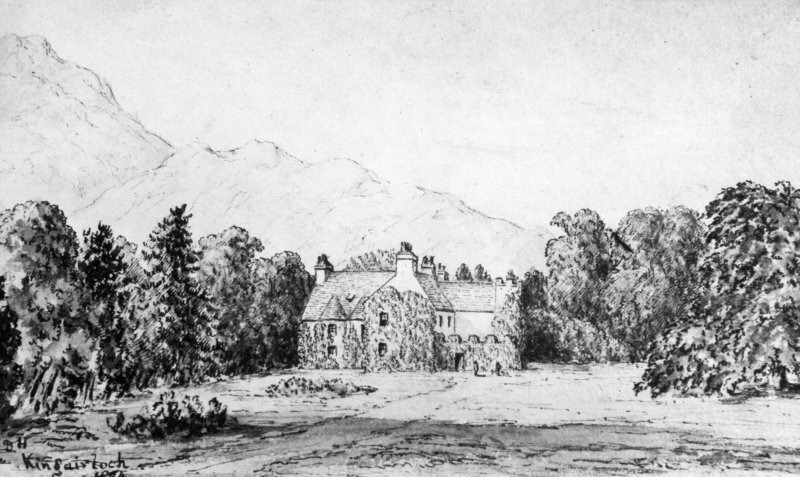 Architect for Alterations: J G Falconer, Fort William.